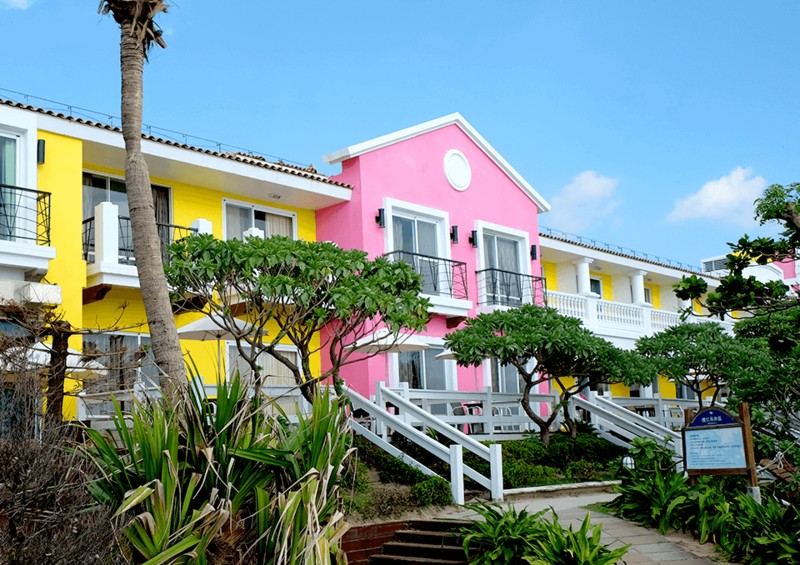 Kenting Château Beach Resort is a building along the coastline, which possesses a 2.8km long beautiful and clean shell beach. 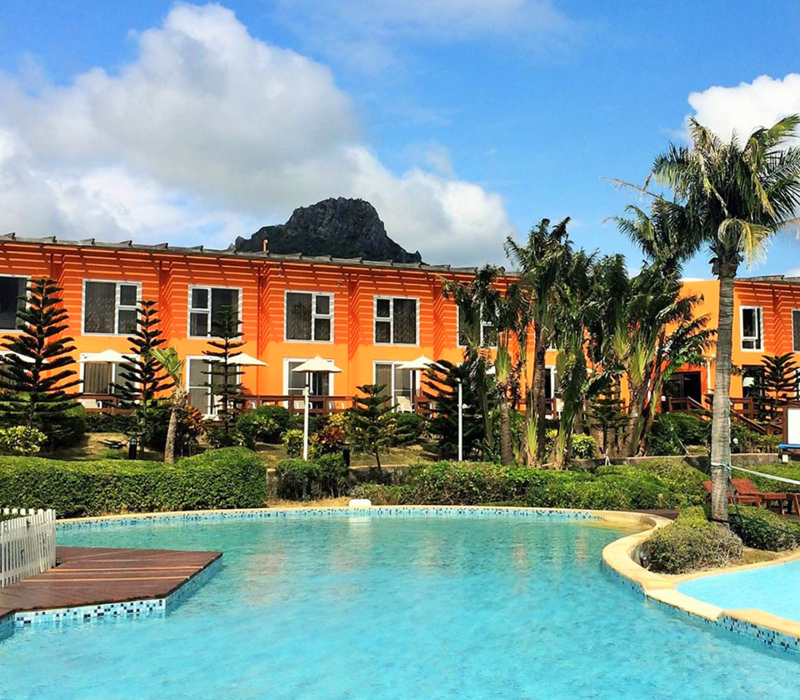 The straight line building is divided into: Provence, Marbella and Positano halls with totally 295 cozy guest rooms. Surrounding with blue sea and sky, shading of Indian almond, coconut trees and white wave, its atmosphere is full of leisure and passionate romance. Château Beach Resort sincerely welcome you, and will be glad to provide a relaxing, free and LOHAS vacation to those who love to enjoy sunlight, beach and oceanic atmosphere. Provence Hall is named after Provence, a place in south France. 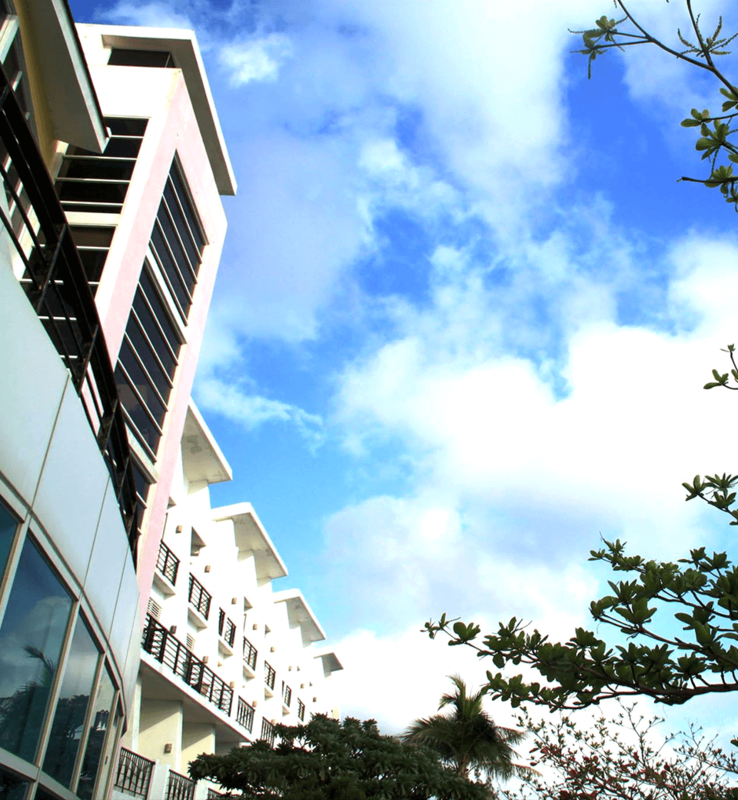 It’s a gold and royal blue colored building which likes to embrace the warm sunshine and blue sky in Provence, as well as distribute a warm and vivid atmosphere; linking with the green shade of Indian almond trees and blue ocean, Provence Hall has more leisure and free sense of such openness. Marbella Hall hugs a beautiful beach and ocean, with the mild and warm citron yellow and pink colors, bright sunshine and sparkled waves in the sea to make a Mediterranean like view, as the original Spanish meaning of Marbella --- Beautiful Sea, make people to have charming and gentle ideas. Positano is a beautiful small town located at the coastline of Amalfi Coast in south Italy. Legend has it that Positano was built by Poseidon, God of the Sea, for his beloved Goddess Pasitea! There have passionate sunlight, blue sky and glittering seawater, which can make you to enjoy yourself in the blue sky and sea, and it is the deep meaning that Positano Hall contained — a coastal jewel.